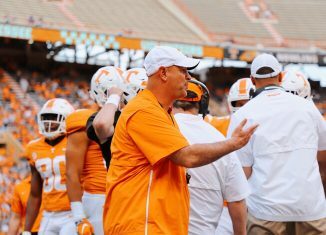 The 2014 Orange and White Game was filled with new faces sprinkled – yes, sprinkled – across both sides of the ball for Tennessee as the Vols signed 14 players in the 2014 class who were able enroll early – the most to do so in recent memory – and go through spring practice. 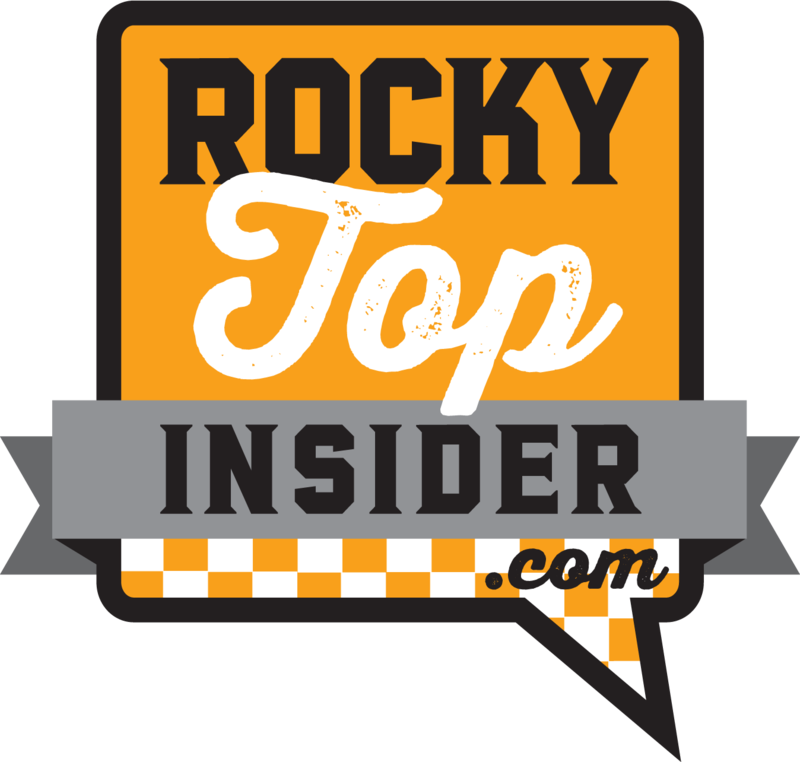 Players like Jalen Hurd, Josh Malone, Daniel Helm, Ethan Wolf, Von Pearson, Emmanuel Moseley…etc. all showed why they were such touted recruits coming out of high school. Enrolling early gave them all a head start on seeing playing time in the fall, but don’t count out the remaining members of the 2014 class. While arriving in December or January certainly gives players a leg-up, that doesn’t mean that everyone else is destined to be nothing more than a red-shirt candidate. 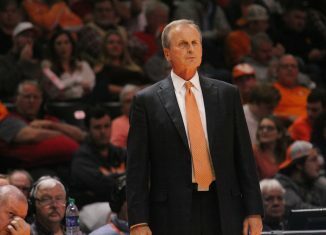 Tennessee will almost certainly be relying on some new guys arriving this summer to play vital roles once the season begins. This one should come as no surprise. 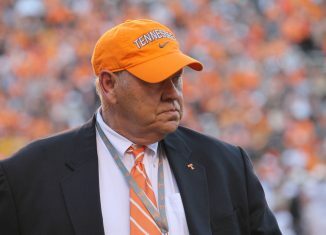 Bates has been expected to come in and not only contribute, but also compete for a starting position since he committed to Tennessee in July of 2013. The 6-foot-3, 216-pound linebacker from Ponte Verda Beach, Florida comes in with perhaps the most hype of any player in the 2014 class. His father, Bill Bates, played linebacker for Tennessee in the 80’s and went on to have a very successful NFL career with the Dallas Cowboys, so it’s probably safe to say that Dillon has had plenty of ‘coaching’ on how to play the position. Prediction: Dillon is a smooth player with exceptional speed and excellent coverage skills for a linebacker. 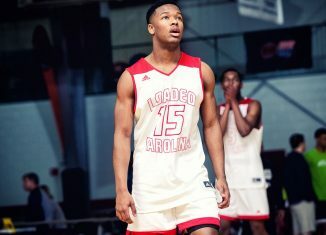 While he may have to get a little bit bigger to consistently battle in the SEC, there is no doubt that he has all the tools necessary to be an outstanding player in this league. I think he starts fall camp firmly in the 2-deep with a very strong shot at opening the season at an outside linebacker position. At the very least, his coverage skills will make him a huge asset in obvious passing situations. 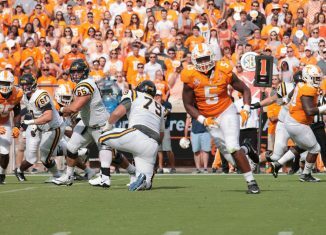 The Vols must replace the entire starting defensive line from last season, (Stop crying. Seriously, stop.) so finding some playmakers at defensive end will be a huge point of emphasis for the coaches. Hendrix was arguably the best defensive lineman that Tennessee signed last year, and at 6-4, 275 pounds he has the bulk needed to come in and make some noise along the line. Hendrix may not have the fastest first step for a defensive end, but he makes up for it with strong technique, power, and arriving to the football with a bad attitude. If he gets players in his grasp, they rarely escape. He also does well reading his keys against spread teams who the run zone-read, which is what Tennessee will see a lot of early in the year. Prediction: Hendrix is already a solid 275 pounds. I’d suspect that the coaching staff probably doesn’t want him to get much bigger if he is to remain at defensive end, but that doesn’t mean that they wont use his size and speed to their advantage and slide him to defensive tackle in passing situations. Hendrix’s versatility will likely put him on the field early and often. I think you’ll see him in the 2-deep at defensive end right out of the gate, spelling both Corey Vereen and Curt Maggitt as needed. I also think that on obvious passing situations he will slide inside as the coaches try to get more speed and pass-rushing ability on the field. Ok, maybe I’m cheating on this one, but they’re twins so I’m justified. 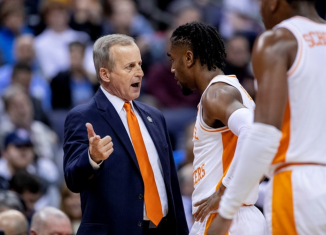 These third generation Vols are extremely talented players who were, in my opinion, overlooked by recruiting services due to their ties to Tennessee. 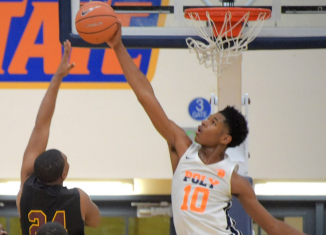 Everyone knew they were going to end up in orange so they didn’t get the type of attention that other uncommitted players received – truly a shame. Elliot and Evan have the last name Berry. This inherently means that they are smart, well-rounded football players who possess next-level athleticism. All of these spell “True Freshman Impact Player” to me. The only question is where? Both are so versatile and can play at so many positions that it may take time to dial in exactly where they can help the most. Prediction: It looks like Evan is going to get his first look at cornerback when the Vols open practice. Personally, I think he can really succeed here but it may take some time. He has everything you look for in a corner as far as size, speed and fluidity are concerned, but may need some reps to truly develop his skill set. I wouldn’t be shocked to see him in the return-game or even some offensive sets during camp as the coaches find out the best ways to utilize him. Elliot, seemingly, will start out working at safety and outside linebacker – again, versatility is huge here. Like Evan he has speed and coverage skills to go along with an above average work-ethic, but his larger frame looks to have him destined for an outside linebacker spot down the road. I think that both players see snaps on defense throughout the year, but where they will make the biggest impact is on special teams. These guys are football players, period. Think back to how valuable Jalen Reeves-Maybin was to this football team last year – now imagine you have two of him running around out there. The Vols need help at strong safety and TK Jr. seems like a perfect fit for the position. The Vols certainly have other incoming players who could make an impact there, but Kelly seems like the guy that most people are looking to. 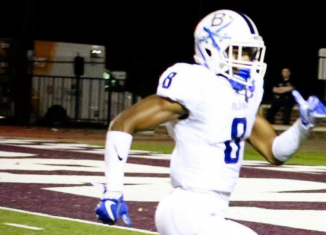 The Webb School standout has the attributes you look for in a safety and has spent a lot of time with coaching staff over the last year, so odds are he may come in with a slight advantage. Every recruiting service had TK Jr. ranked as a top-70 player in 2014. They all ranked him as a safety and the Vols are looking for someone to come in and take hold of the position. This seems like the perfect scenario for him to come in and carve out immediate playing time. Prediction: As is the case with most freshmen that enroll in the summer, Kelly will need to learn the defensive system quickly to see the field. Lining up next to a guy like Brian Randolph on every play will make that process a lot easier, not only for Kelly, but the rest of the newcomers as well. Kelly’s familiarity with the school and the coaches likely give him a slight leg up in the battle, and I think it pays off. LaDarrell McNeil had a rough spring and the Vols are hoping Kelly can come in and earn some – if not all – of his reps this season. I think that Kelly will see a lot of snaps in fall camp and has a real shot at opening the season as the Vols’ starting strong safety. I’m not ready to anoint him just yet, but I’ll certainly keep my eyes on him during August. Barnett’s selection is based on many of the same reasons that put Dewayne Hendrix on this list. 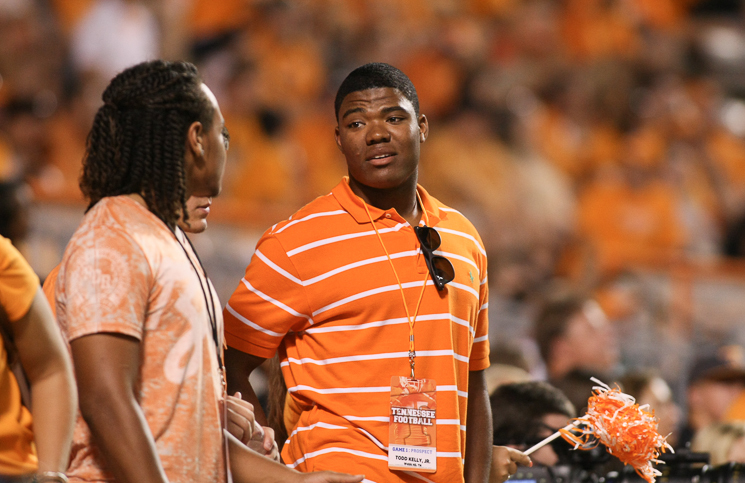 The Vols need versatile defensive linemen who can impact the game in a number of ways. Barnett has the ability to do just that. Barnet is 6-foot-3 and 270-pounds of meanness. He has the demeanor you look for in a defensive end/tackle and that is why I think he will be in a position to help Tennessee this season. Barnett is amazingly athletic. How athletic? Athletic enough that Brentwood Academy coaches lined him up at wide receiver, tight end and running back last season. A true testament to what the guy is capable of. And when you have that type of skill set coupled with the opportunity to focus on only one or two positions, the ceiling becomes very high. Prediction: Much like Hendrix, Barnett has the versatility to do some different things along the defensive line and I would imagine that the coaches use them in similar roles. I believe that he quickly enters the rotation at defensive end and has a spot at defensive tackle in certain packages where rushing the passer is a point of emphasis. 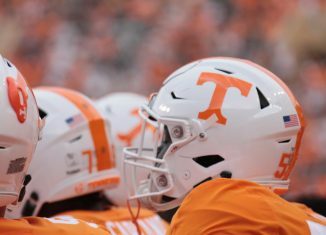 This gives Tennessee two young defensive ends that have the size and ability to not only earn reps on the edge of the line, but who can also slide inside and create some disruptive situations for opposing offenses. The future looks bright at DE. Houston blurs the line between Vol homer and traditional media member while always offering honest opinions and thoughtful insight into what is happening on ‘The Hill’. (This is the part where he wanted to mention that he bleeds orange but he wasn’t sure if that was allowed or not). Click on a day to see what you missed! Site design by John Cave Osborne and Reed Carringer. 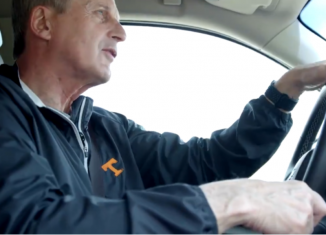 All content © Rocky Top Insider 2015.